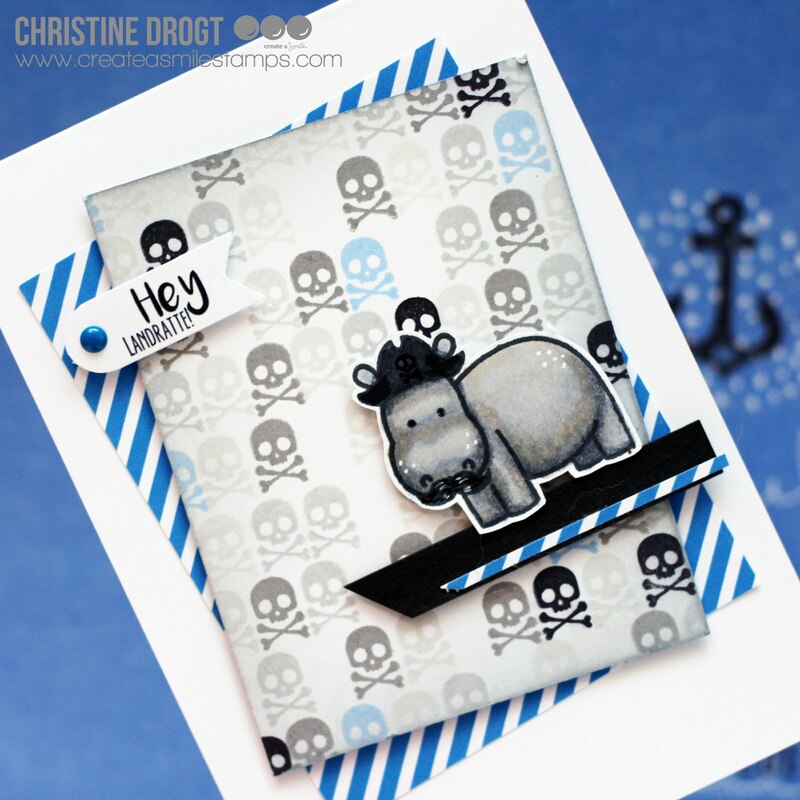 I am totally in a pirates-mood lately, so I went for the hippo with the pirate's hat. I found a small skull-stamp in an older Simon Says Stamp stamp set that I hardly ever used and created this background - I think it turned out super fun! 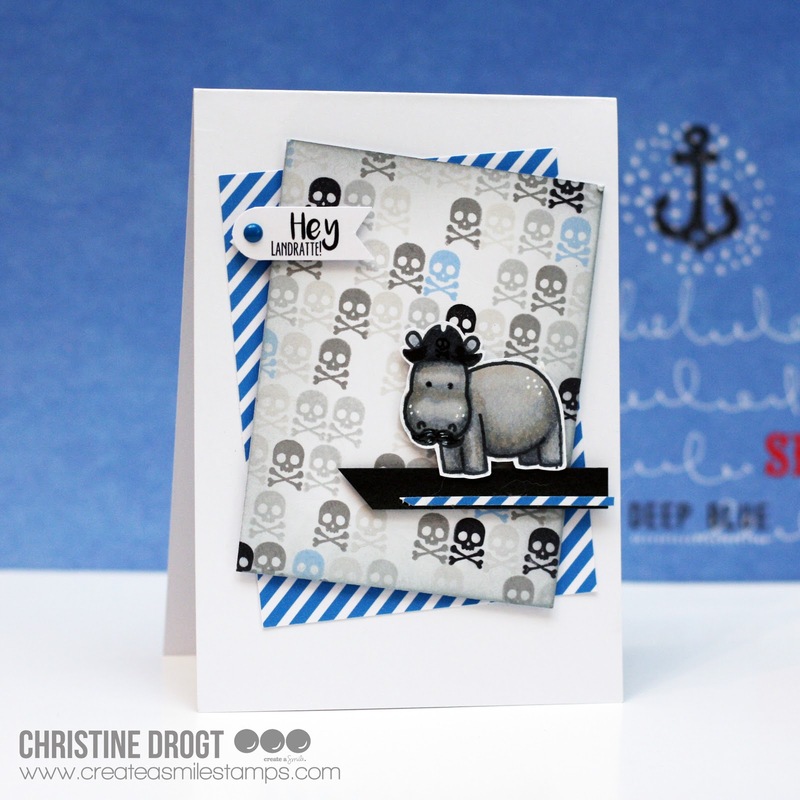 The text stamp says "Hey Landlubber" and is from an upcoming Create A Smile stamp set.